This was probably one of the main reasons why I instantly fell in love with Cardiff. 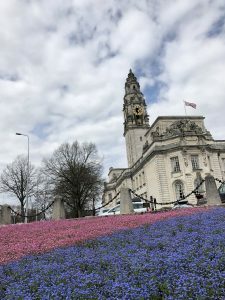 With the idea of London completely intimidating me, yet the idea of living in a capital city being really appealing, Wales’ capital was the perfect match. Having a population of around 350,000 people, the place really does have the feel of a small town despite having TONS of stuff going on all year round. Cardiff is renowned for its great nights out. 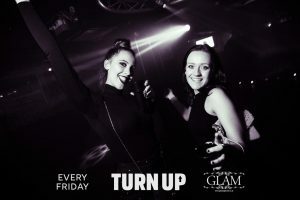 With everything from alternative clubs to gay bars to live music venues, there is something for everybody. As a student, you will find that you are rarely short of an offer to go out on a night in the town and there is good reason for it. 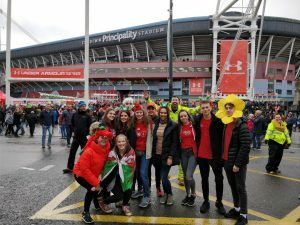 Cardiff’s famous rugby mania sure does live up to its hype. With hordes of people lining the streets singing their hearts out and beers in abundance, witnessing the city on a game day is certainly an experience to be had. Although not helping my student debt, there are shops GALORE! From the big modern shopping complex of St David’s which is sure to have all your favourite shops, to the tiny and quaint arcades, I am telling you now that you will never run out of things to spend your student loan on. Forget your food shop, buy some new shoes instead; you’ll get more use out of them anyway! The castle is of course an iconic symbol of Cardiff. Cultured, pretty and interesting, it will probably be the only reason your Nan comes to visit. The Breacon Beacons lie just a short one hour drive; a perfect escape from the madness of student life. Yet, in the other direction lies the ocean, providing a great opportunity to experience that outdoorsy life. This is likely to be more of a bonus in second year when many people start to bring their cars up. Weekend trips to the beach anyone? 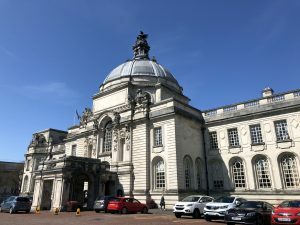 Being a notoriously cheap city, Cardiff is the perfect place for a student. Compared to my friends that study in England’s capital, you will undoubtedly be getting more for your money here. Cheap fun, transport and housing means you will not only save your coins, but will also have more to spend on a Friday night. Winning! 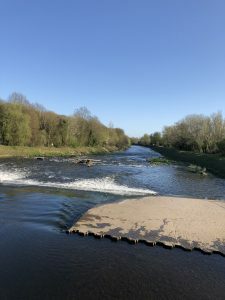 Bute Park spans an impressive 130 acres and provides the ultimate place to chill on those rare appearances from the sun. 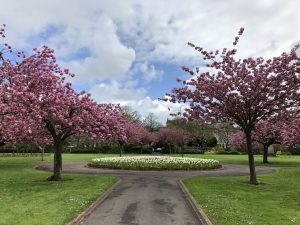 It also sits just a 5 minute walk from the Talybont halls so is great if you just want to take a break from revision or the claustrophobia of your room. There are of course plenty of other green spaces that are 100% worthy of an insta feature just waiting to be explored. If it’s good enough for Beyoncé, then it’s good enough for me. Home to the Principality Stadium, Motorpoint Arena and St David’s Hall, artists of all genres and from all corners of the globe have come to Cardiff to perform for the masses. There is never a shortage of upcoming events and a number of festivals take place within the city every year. If you are a music fan then this is definitely the place to be. Above anything else, Cardiff is a massively safe city so that certainly is an important reason why Wales’ capital is, of course, so great!